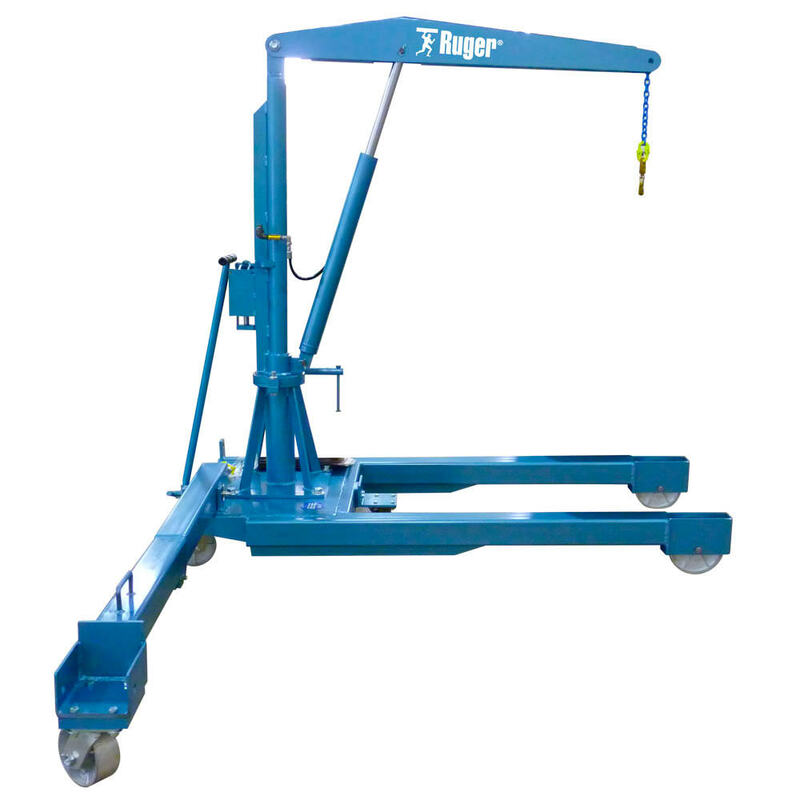 The Ruger Foldable Floor Crane is designed for portability, ease of use and safety. 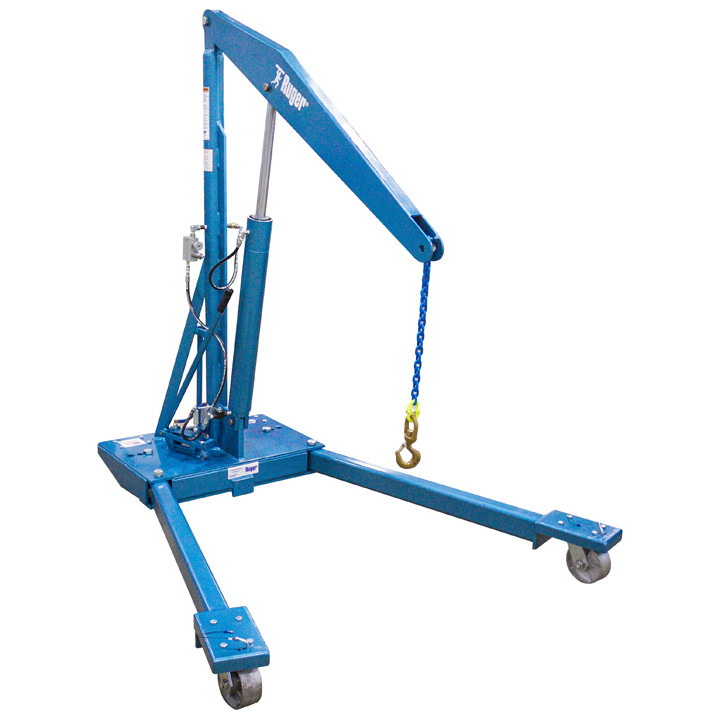 With a small collapsible footprint these cranes are easily stored while not in use. RC-1000K 1,000 lbs. 47-5/8" 39-1/8" 51-1/8" 44-1/8" 119-3/4"
HP-1000C 1,000 lbs. 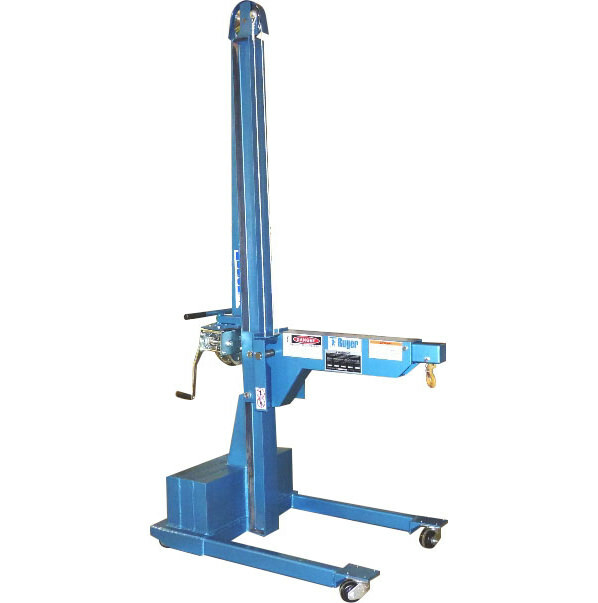 51-1/2" 47-1/2" 88-1/2" FLOOR 151-3/4"
These versatile workhorses will be your go-to piece of equipment when faced with the challenge of getting to and lifting heavy loads all over your facility or job site. 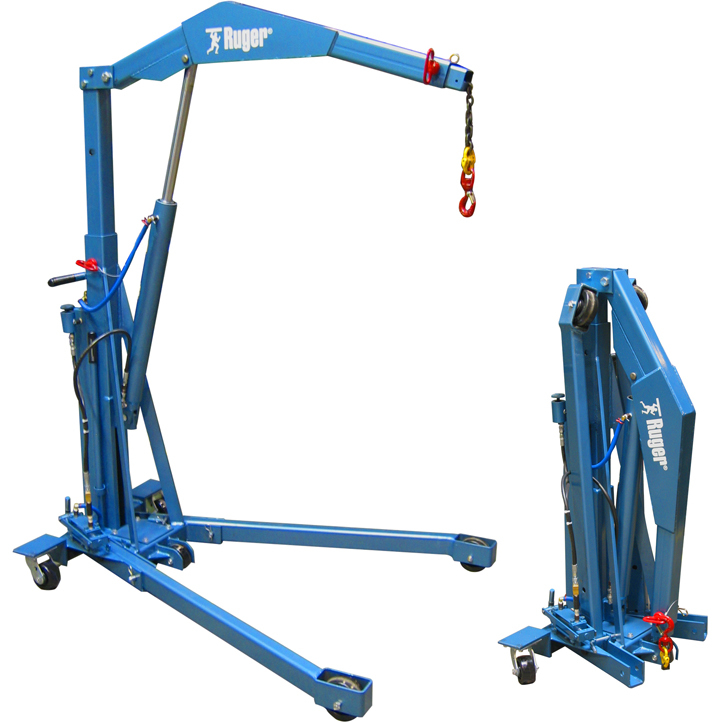 These Ruger cranes are carefully designed for quick set up, break down and easy storage.